It now appears that maybe Spring has finally begun to arrive and everything in nature is “Taking Flight” which hopefully will fuel your imaginations and your creativity for your projects for judging in June. I am looking forward to seeing all that you have accomplished. We all hopefully will be able to get out and do more visiting with Granges now that the weather is improving. 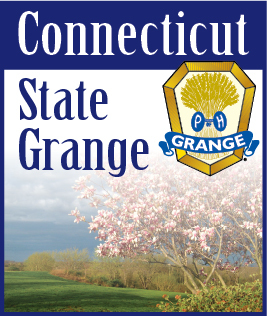 Also, remember that many of the projects are open to non-members of the Grange so get your family and neighbors involved. Who knows they might decide to join. And, don’t forget the Juniors - I’m sure that they would love to have some guidance from the “older”, more experienced knitters, crocheters, and crafters among the Grange to help with their projects. As always, feel free to call me or any of the committee if you have questions regarding any of the programs.